Maintenance, service crucial to keep AI taxis under $1/mile, GM says, but will AV fleet competitors, shops remain diligent? 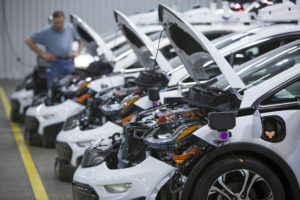 The kind of lifespan extension needed to keep an autonomous taxi fleet’s fares below $1 a mile demands regular maintenance and service similar to the aerospace industry, General Motors President Dan Ammann said last month. It’s important “they last,” Kyle Vogt, CEO of GM’s autonomous car subsidiary Cruise, said during the Nov. 30 investor event. (See slides.) He said GM performs durability testing and has a leg up on competitors because of its crash-testing capabilities. GM makes a good case that its huge level of integration, demonstrated most recently with its purchase of LIDAR manufacturer Strobe, gives it an advantage over other competitors. Nevertheless, it seems that competitors would still arise to tap the multibillion-dollar market. According to General Motors, AI taxis reach $1 trillion in potential sometime between a passenger’s fare falling from $1 — which GM thinks it can achieve around 2025 — to far below $1. What gets concerning at that point is the idea that a third-party fleet operator (or even potentially an OEM) starts cutting corners on service, maintenance and part quality to get the vehicle back on the road faster, reasoning that the lost revenue now would have exceeded future revenue generated by a longer vehicle lifespan. Or service and maintenance and parts see reduced spending so that the fleet operator can undercut competitors on price on the front end. We’re sure our readers have a few horror stories of a fleet client demanding work be done as quick and cheap as possible. But unlike “motor carrier” fleets of buses and tractor-trailers drawing a high level of scrutiny from the federal government, it’s not a given that regulators paying attention to private passenger vehicle fleet maintenance and collision repair in the cities likely to first receive AI fleets. That seems to point to potential disaster if a repairer rushes or botches the job on a car that’s supposed to be able to drive itself and protect occupants, pedestrians and other vehicles. Fortunately, GM’s self-driving car is designed to have a high level of redundancy, something that seems likely to be required of other autonomous car manufacturers. 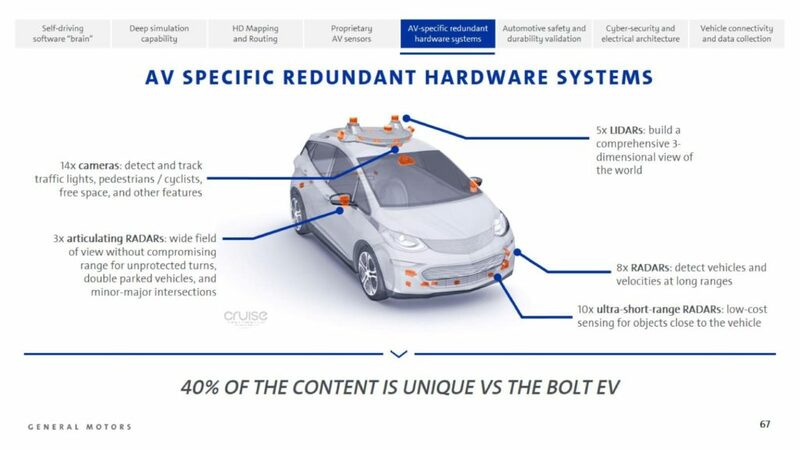 A self-driving Bolt shown in a GM slide had 14 cameras, three articulating radars, five LIDARS, eight long-range radars and 10 “ultra-short-range” radar systems. If you Bondo or paint over one of these sensors by mistake, perhaps the others can pick up the slack. But once such a vehicle is sold into the aftermarket, who knows how well such an infrastructure will be maintained? Will the operator pay to fix a faulty supplemental system if the original still works? “Because it’ll grow, it’ll be regulated,” he said. He said he didn’t think it had been contemplated yet. He also observed that an autonomous vehicle might have updates and patches. 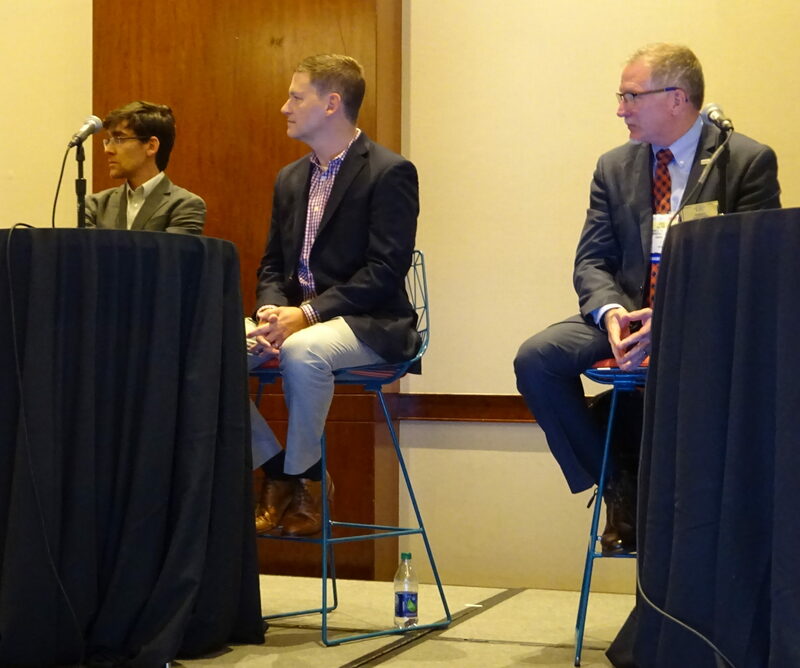 Mobile Devices B2B sales director and Munic head of connected car OEM and aftermarket platform Clément Pantin, another CIC panelist, said that if an OEM assumed the liability for an autonomous car, they’d have to control the repair process. Experts at Automotive World’s Megatrends conference in March also examined the question of autonomous vehicle maintenance, particularly in a world mixing autonomous commercial fleets, privately owned autonomous vehicles loaned out as taxis for a ridesharing company, and privately owned autonomous vehicles. Michigan Department of Transportation intelligent transport systems administrator Matt Smith said he didn’t have an answer at that point but recognized it was one “that has to be solved.” He observed that from a public policy standpoint, there needed to be a defined relationship — perhaps even more so than what exists today — between an OEM/autonomous vehicle developer and the end user so they know where it can be fixed. “That’s a big issue,” Smith said. There’s also the question what happens if an autonomous vehicle is sold to a third party, he noted. Global Policy Group Chief Executive Ian Graig pointed that a trucking company would be crossing state lines, meaning more federal oversight of autonomous cars could be possible. But enforcement once a car leaves a dealership has typically fallen more to the states, he said. Based on GM’s description of autonomous vehicles contained within geofenced parts of cities, state or even local governments might be more of a regulatory factor in autonomous fleet maintenance — assuming those elected officials choose to regulate it at all.